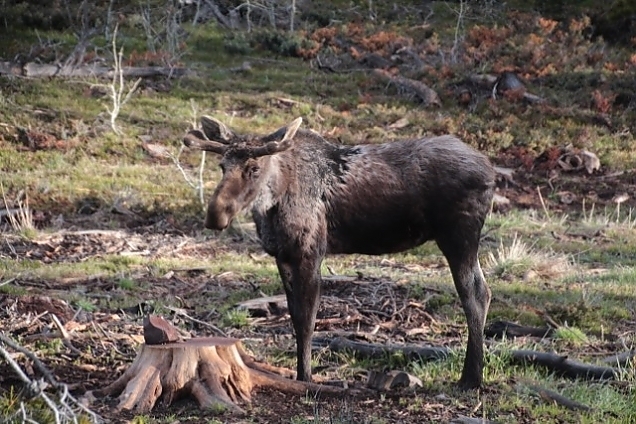 My last post was written about the moose visit on Tuesday evening. Wednesday morning was the ultimate wildlife TV show out our window. Probably the like of which we will never see again. It started with the moose. 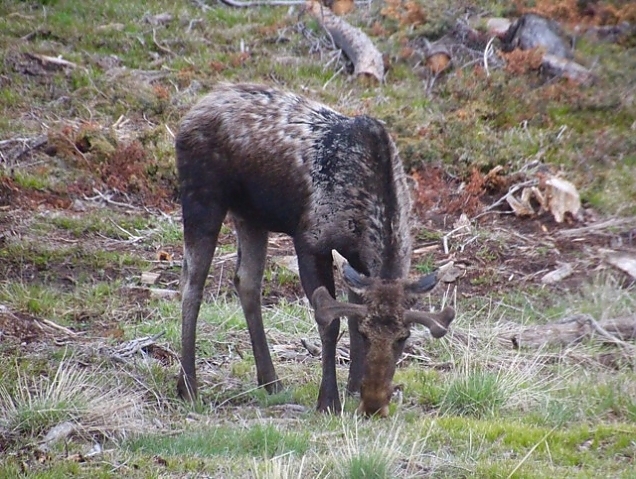 From this angle his newly sprouted antlers look like a big dog bone to me! This post continues in MORE below, just click through. I am trying to abide by Rick's rules of blogging since we are now sharing this space.